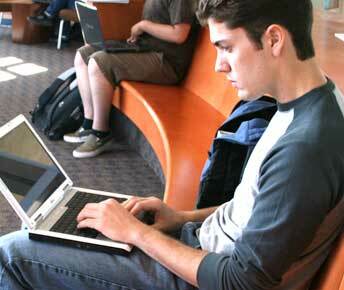 Many students create an academic resume. This is a handy way to ensure you have consistent information across all elements of your application. In addition, it can be attached as supplemental information to your common application and used for scholarship applications. Your academic resume should not be more than a page. Some students choose to put a photo collage on the back side. Here are some samples of academic resumes: Edgar Extraordinary, Larry Leader, Olivia Outdoors and Sophia Successful.Your resume will be even stronger if you describe your activities and awards using Power Words or Active Verbs. Some students like to supplement their academic resume with an activity chart. No matter your interests, you might want to show the world more than your grades and test scores. One possible way to do that is by creating your own website. If you want to create your own website you can use Weebly to do that for free. You can choose to publish your website to a free sub-domain of Weebly.com, or you can buy your own name as a domain name (if it is not taken). Here's an example of a student created personal website. If you do create a website, be sure to put a link to it on your academic resume, in college application materials, in correspondences you have with college admissions officers, and with all your scholarship applications. You want to make sure you leverage your hard work!